Freight Rail Policy Stance: Congress must initiate a national, bipartisan effort to ensure users of infrastructure pay to maintain that infrastructure. Why This Matters: The current Highway Trust Fund does not cover the costs to sustain and repair the nation’s deteriorating bridges and roads, leaving taxpayers to pay billions each year. 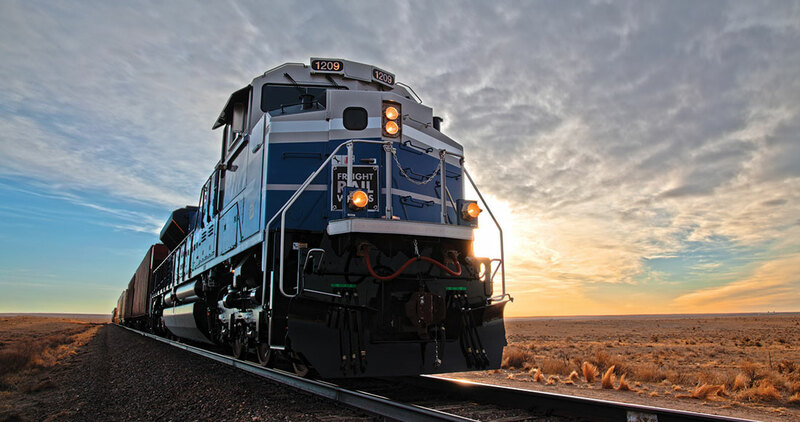 Private freight railroads — not taxpayers — pay for the nation’s 140,000-mile freight rail network, pumping billions of dollars annually into their infrastructure to directly benefit businesses, consumers and the passenger rail systems that use freight rail tracks. Roads and bridges are another story. They are funded by taxpayers and are in worsening condition, with Americans on the hook for mounting maintenance and upgrade costs. A 2017 assessment of U.S. infrastructure by the American Society of Civil Engineers (ASCE) gave roads a “D,” finding that one of every five miles of highway pavement is in poor condition and several billion dollars are needed to repair a significant and growing backlog of damaged roads. To make matters worse, more than half the bridges on the National Highway System are nearly 25% structurally deficient or functionally obsolete. With the Federal Highway Administration (FHWA) estimating $170 billion is needed every year to improve road conditions, Congress must find a reliable, long-term funding solution for the nation’s critical infrastructure. The Highway Trust Fund (HTF) is the financial mechanism for building, maintaining and repairing federal roads and bridges. Since the 1950s, drivers of motor vehicles and trucks have paid federal and state taxes on each gallon of gasoline to support the HTF. Although this “user-pay” system worked more than half a century ago, the gas taxes have failed to keep up with highway maintenance costs, changing fuel prices and more fuel-efficient vehicles. The current gas tax of 18.4 cents per gallon of gasoline and 24.4 cents for diesel fuel was last increased in 1993 and proves less effective each year. In fact, the U.S. Treasury Department reported that total collections of federal gas taxes for the HTF flattened in the first ten months of fiscal year 2017, even though traffic volume on U.S. roads continue climbing toward record levels. The Congressional Budget Office estimates the HTF will be depleted by 2021. The lack of adequate revenue raised for the HTF is partly a result of trucks weighing 80,000 pounds. These heavier trucks are estimated to only be paying for 80% of the damage they inflict on infrastructure. The HTF’s continued shortfalls have forced policymakers to use $143 billion of general taxpayer funds to repair roads and bridges since 2008. Gas taxes are insufficient to bankroll the upkeep of roads, bridges and highways. Restoring modal equity: Railroads are currently at a competitive disadvantage because they fully fund their infrastructure, while large trucks underpay their federal cost responsibility by around 27 cents per gallon of fuel and therefore offer artificially deflated costs. Requiring trucks to pay their full share, including through a WDT, will even the playing field between trucks and trains. Delays in permitting cost the rail industry billions of dollars each year, which could otherwise be invested back into the network.